The Centre for Strategic and International Studies (CSIS) in Washington, DC has produced a publication entitled, “The Relevance of US-Caribbean Relations – Three Views”. The title is misleading. While the three views, articulated by eminent scholars on the Caribbean, are good descriptions of the current conditions in the region with regard to security, economic and energy matters, they do not discuss in any depth the “relevance of US-Caribbean relations”. Indeed, except for cursory allusions, they don’t examine the state of relations between the US and the Caribbean. The fact that they have not analysed the state or relevance of relations is understandable. The present Donald Trump administration has not yet announced a policy toward the region. While some global policy announcements impinge on the Caribbean, indications of the administration’s thinking about the region have come only in relation to Cuba and Haiti. So, it is difficult to go beyond saying that relations are in limbo. As for its relevance, that is a two-sided coin. The US and Caribbean countries would see the relevance of relations differently, and a sound analysis would require far more research and study than the three brief opinions allow. For all that, the views on the challenges in each of the areas of security, economic and energy within the region as expressed respectively by Evan Ellis, Scott MacDonald and Anthony Bryan are worth reading. They provide a rich insight into the complexities of these issues as they obtain within the region. 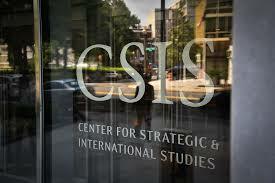 The publication should be available on the CSIS website on July 30. In his view on security issues, Evan Ellis comes closest of the three authors in laying-out a menu for the engagement required by the US. For instance, he is right to say that “the United States will impact the security (of the) region through its immigration and other homeland security policies”. Within the Caribbean, it is believed that criminal deportees have contributed to the increased rates of violent crime, introduced new types of crime, deepened the sophistication of criminality and generally extended the criminal repertoire of local criminals. Political leaders, scholars and informed commentators have argued that the deported criminals were formed and developed in the US nor in their country of origin. Importantly, it is also believed that deportees help to extend the criminal transnational links, and are involved in organizing and facilitating the trafficking in illegal drugs and attendant firearms. Studies within the Caribbean have revealed that, within the last ten years, an estimated 70,000 persons have been deported to the region from the USA, the UK and Canada. In relation to the size of the Caribbean population, this is a big number. In the first six months of this year, the number of criminal deportees to the Caribbean from the US has almost equalled the total deportees in 2016. The inherent vulnerabilities and capacity constraints of Caribbean states preclude them from monitoring criminal deportees who are now a growing overlay in these communities where security forces are already greatly stretched. At the bottom line, security in the Caribbean is directly linked to economic progress, including development of human resources. But, for the most part, US investment in the Caribbean has steadily dwindled. It has been replaced by investment by countries such as China even though the region adjoins the US; not China, and the consequences of Caribbean economic deterioration would have a far more immediate impact on the US than anywhere else. The much-vaunted United States-Caribbean Strategic Engagement Act of 2016 (HR 4939), passed by the US Congress, is largely an aspirational document with a splendid vision, but it is backed by no financial or other resources that would help to implement measures for economic progress, social advancement and security in the region. It is also not clear where the present administration stands on giving power to the Act. And Caribbean governments have not yet been able to engage the President, the Vice President, the Secretary of State or any other Cabinet member at any level to establish exactly how they regard the region. In his presentation, Scott MacDonald rightly identifies trade, de-risking (the withdrawal of correspondent banking relations from Caribbean banks by US banks) and infrastructure development as issues between the US and the Caribbean. He references the preferences, given under the Caribbean Basin Recovery Act (CBERA), as important to the region. While the latter observation is true for some Caribbean countries, it is not true for all because it does not cover benefits for trade in services, only for goods – and then only for a limited number. The consequence is that with regard to the 17 CBERA beneficiary countries, taken collectively, the US has consistently enjoyed a huge balance of trade surplus. In 2016, the US balance of trade surplus with the 17 countries was $6.08 Billion. Only two of the 17 countries had surpluses with the US, and in each case the surpluses declined from previous years. Available data also reveals that, in 2016, the value of US imports from the countries, designated as beneficiaries, declined from 2015 by over 50 percent. On the evidence, the US benefits far more from trade with the Caribbean than the other way around. The Caribbean will never have a surplus of trade with the US, but to benefit more than they do now, US authorities would have to include services in a preferential scheme for the Caribbean in addition to expanding the products covered under CBERA. Any further decline in access to the US market would have a debilitating effect on the CBERA countries with consequences for US security. It would also affect the capacity of these countries to continue to purchase US goods and services that provide revenues and employment in the US. Mr MacDonald referenced the US pulling out of the World Trade Organisation (WTO) as a potential risk for the Caribbean, and stated that the region had used it over rum, although I have no knowledge of that. He also mentions the Internet Gaming case that Antigua and Barbuda did win at WTO arbitrations, saying that “this has been used to settle trade disputes”. Factually, in the latter case, while Antigua and Barbuda won the case, the US has not yet settled it after 13 years. It is a matter of concern that the US has not made good on the loss of over US$200 million from the tiny Antigua and Barbuda economy, particularly as over the same period the US enjoyed a trade surplus with this small Caribbean island of over US$1.3 billion. Antigua and Barbuda continues to work diplomatically to persuade the US to settle the matter but is mindful that, as a last resort, it has recourse to implementing the award given by the arbitration bodies of the WTO.